Autralian born Nattali Rize is one of the brightest stars of the new global dancehall movement. If you ask her where she actually comes from, she’ll tell you “All Directions”, claiming not to belong to any nation state but to the ever evolving community of conscious thinkers everywhere and anywhere. Her music is rooted in the reggae tradition, but is freely and naturally mixed with hip-hop, electronic, world and pop influences, and is known for her raw energy and vibe, which channels a deep reggae influence in a New Era Style. On such an eclectic musical structure, her voice advocates for the global activism towards environmental and human right issues. 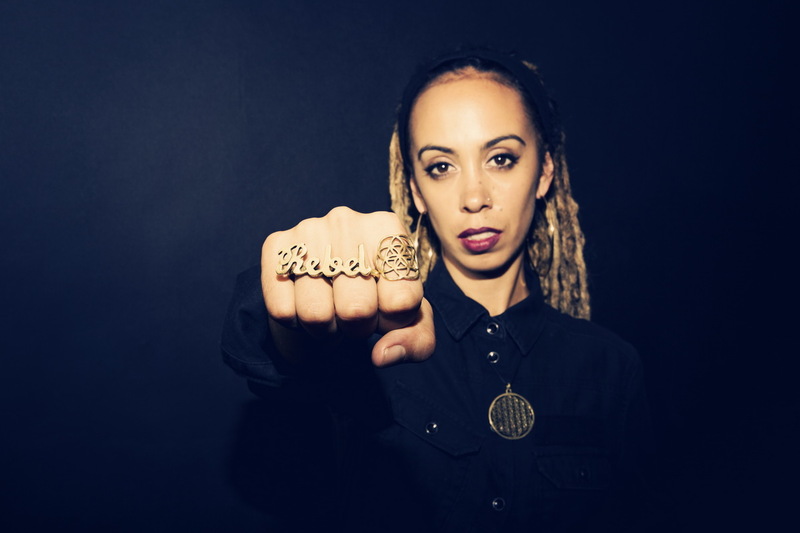 Born and raised in Australia as Natalie Magdalena Chilcote, she founded the urban roots collective Blue King Brown in 2003, and then relocated to Jamaica in 2014, where she decided to change her performance name to Nattali Rize.